[S386] Internet Posting, Blackford Co, IN Rootsweb. [S1975] 1885 Nebraska State Census, Pawnee County, , Nebraska, Pawnee County, South Fork Precinct, page 16, line 11, dwelling 139, family 140. [S454] Chapman Advertiser, December 21, 1916, page 1, column 1, page 1, column 1. [S932] 1860 U. S. Census, Nebraska, Richardson County, Spizer Precinct, page 65, line 18, dwelling 546, family 531, Nebraska, Richardson County. [S1291] 1880 U.S. Census, Nebraska, Richardson County, Speiser Precinct, ED 321, sheet 9A/533A, line 28, dwelling 79, family 83, Nebraska, Richardson County. [S1977] 1856 Iowa State Census, Iowa, Jasper County, Clear Creek, page 14, line 15, dwelling 75, family 80, Iowa, Jasper County. [S1979] 1910 Federal Census, Kansas, Nemaha County, Washington Township, ED 130, page 6A/365/936, line 46, dwelling 112, family 112, Nemaha County, Kansas, This source suggests 1858, which has to be wrong. [S1737] 1900 U. S. Census, Nebraska, Pawnee County, Sourth Fork, ED 133, page 5B, line 53, dwelling 82, family 84, Nebraska, Pawnee County. 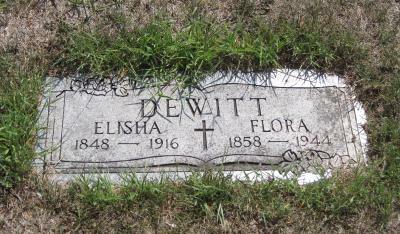 [S2087] Elisha DeWitt and Flora DeWitt Cemetery Marker, Cincinnatti Cemetery, DuBois, Pawnee Co, NE. [S293] 1850 Census IN, Blackford Co, Washington Twp , Roll 136, page 35, line 2, Henry Dewitt household. [S504] 1870 U.S. Census, Population Schedule, Kansas City, MO, page 8, line 20, dwelling 60, family 63, page 8, township 1, range 12, line 20, dwelling 60, family 65, Henry Dewitt household. [S454] Chapman Advertiser, December 21, 1916, page 1, column 1. [S1979] 1910 Federal Census, Kansas, Nemaha County, Washington Township, ED 130, page 6A/365/936, line 46, dwelling 112, family 112, Nemaha County, Kansas. 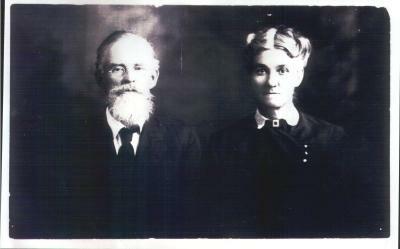 [S1997] General Index to Deeds, Book A: John Fries and wife to Elisha DeWitt (4-89). [S1997] General Index to Deeds, Book A: Henry DeWitt to Elisha DeWitt (4-90). 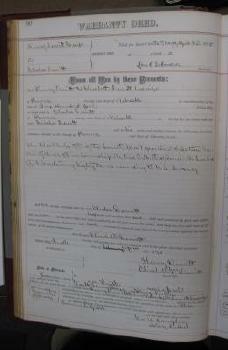 [S1997] General Index to Deeds, Book A: Elisha DeWitt and wife to John Fries (4-93). [S1997] General Index to Deeds, Book C-Grantor: Elisha DeWitt and wife to W. H. Caswell (25-102). [S453] Obituary, Shellhorn, Flora , page 1, column 2. [S154] Chapman Advertiser, January 2, 1936, page 1, column 5, page 1, column 5. 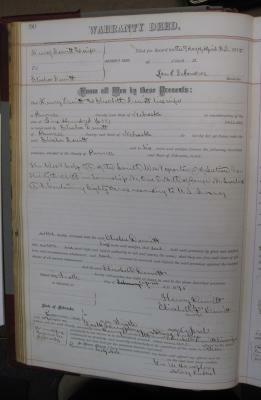 [S451] Obituary, DeWitt, Clarence M.